Glaciers in Antarctica and Greenland may disappear more quickly despite 195 UN leaders agreeing to the Paris Agreement. The leaders pledged to attempt to halt global warming by more than 2 degrees Celsius in 2016, but US President Donald Trump sensationally pulled out of the agreement branding it “draconian” and saying it would cause a “very diminished quality of life” for Americans. A computer review of the agreement revealed anything above a 1.5 degrees Celsius rise would actually be “catastrophic” to the planet’s ecosystem and would cause ice caps to melt rapidly in the coming centuries. Lead author Professor Frank Pattyn, who led an international team, including colleagues at the universities of Lincoln and Bristol, said: "For these ice sheets a tipping point - or irreversible mass loss - may be crossed this or next century if global atmospheric temperatures are kept below 2 degrees. It gets more likely above 2 degrees." 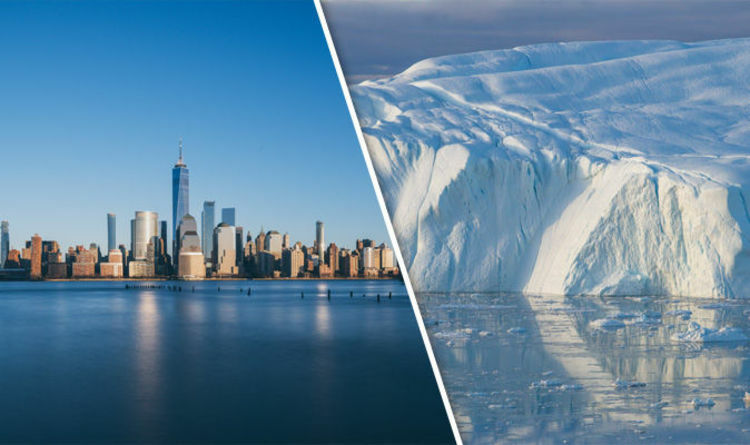 If the ice sheets were to melt, particularly those in Antarctic and Greenland, then it could cause sea levels to rise by 13 feet (four metres). According to Google’s interactive map, FireTree, a four metre rise could ruin the Netherlands, with most of the country submerged. In the UK, the north of Scotland would suffer a similar fate and the east of England would become uninhabitable. New York would also be at risk and the majority of the Bahamas would be underwater. As it stands, sea levels are rising at a rate of 4mm per year, according to the research published in Nature Climate Change. While this does not sound like a great deal, the growth will become exponential as more ice melts away. Prof Pattyn added: "Even if man-made warming were constrained to less than 2°C above pre-industrial, the Greenland and Antarctic ice sheets will continue to lose mass this century - with rates similar to those observed over the past decade. "However, non-linear (unpredictable) responses cannot be excluded - which may lead to larger rates of mass loss. A rise in sea levels of four metres could be devastating. As a result, Prof Pattyn says it is time to act now. He said: "Limiting global atmospheric warming to 1.5°C will avoid short and long-term surprises coming from both ice sheets - and significantly reduce adaptation cost when global sea-level rise is limited and not catastrophic."